Packing to trip/ travel is always the most headache thing ever. Especially when you wish to bring the whole wardrobe over for OOTD photos and also the whole skin care and make up tray you have at home so that you can look fabulous in the photos. That’s so not possible until this turns up!!! Throw Confetti!!! 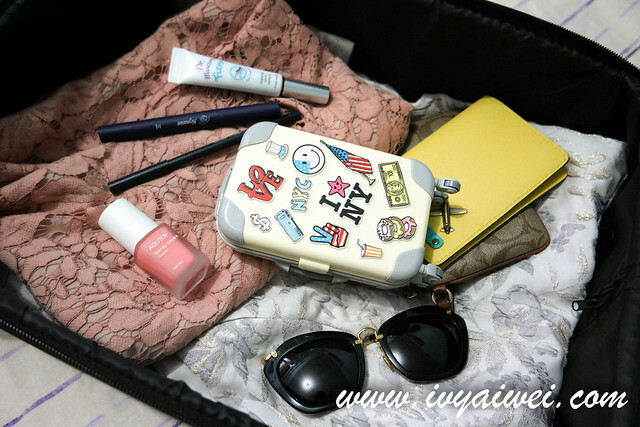 It has all the makeup that I needs for my trip. That means, with all these items in the box, I can pack light and go off for trip! If you have no idea what’s Althea Box, here is a little introduction about it. 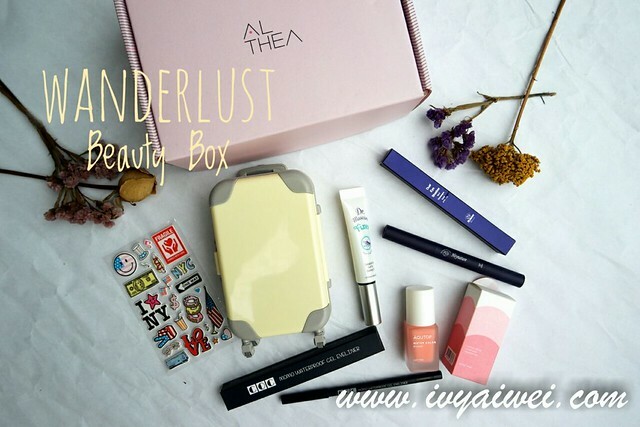 The fairy theme in Althea.kr will specially curated themed beauty box which allow you to pick and buy without subscribing on any beauty box subscription. New boxes will be added every month at a limited quantity. You gotta grab it when they are first launched as they are selling fast! And most importantly, the Beauty Box comes at a very cheap deal, where the price is always slashed more than half!!! The Wanderlust Beauty Box comes with 5 full sized products and it is only RM 114 (original price at Rm 374), about 69% off!!! That’s really a WOW! Peripera – Mini-mini Peppy’s Carrier is super cute! It is similar to the real “luggage” but mini in side. 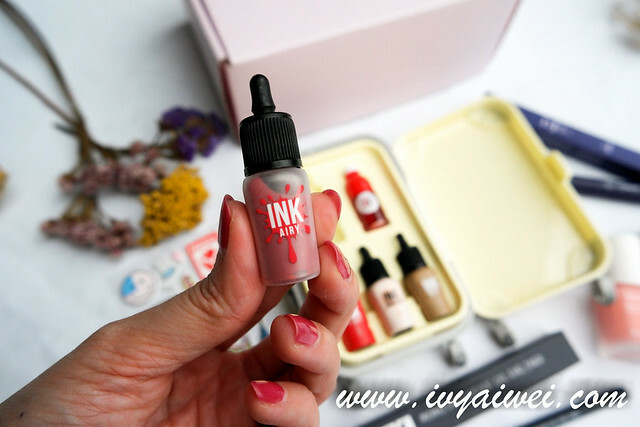 There are 5 types of miniature products and DIY stickers inside the carrier. 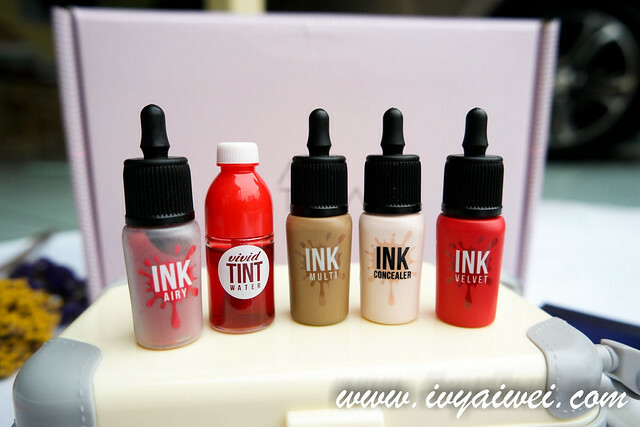 This kit comes with a total of 5 minis and that includes 3 of their best selling lip tint formulas, a concealer and shading duo. Super in love with this Pink Shade on the lips. It is just nice and fit everyday’s wear. 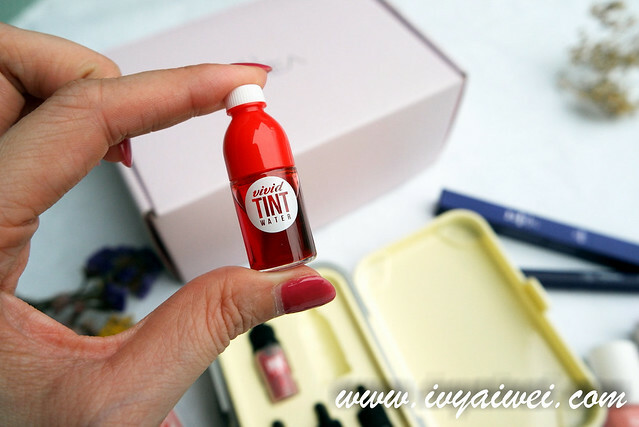 Mini Mini Tint, so cute isn’t it?! Need this Heynature – Dual Eye Shadow in Champagne Coral for lazy people like me. 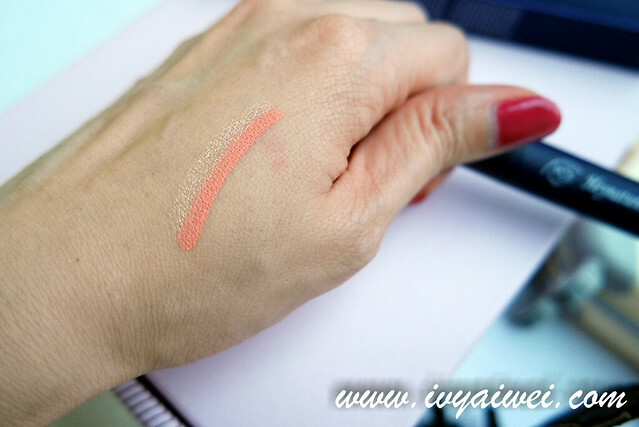 With just one swipe and it will gimme a natural sweet coral colour that paired with beautiful gradation; and blend it well with the sponge applicator on the other end. When I am in a rush to prepare for outing, this is my best friend! Champagne + coral, my all-time favourite! 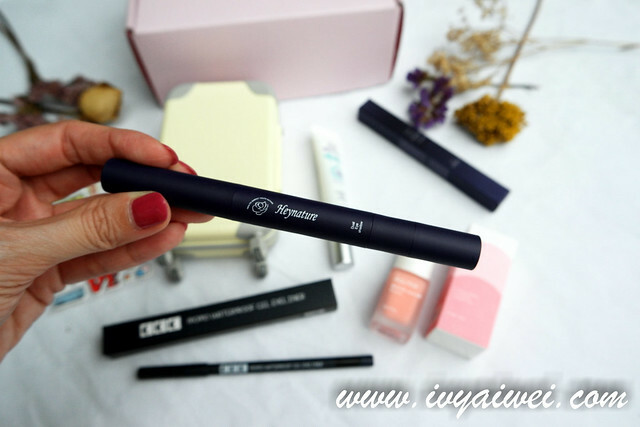 Transparent fixing gel mascara that gives curls and length to the lashes. Just use after applying on the main mascara and it will give you a long lasting effect without flaking or smudging your eyes area. 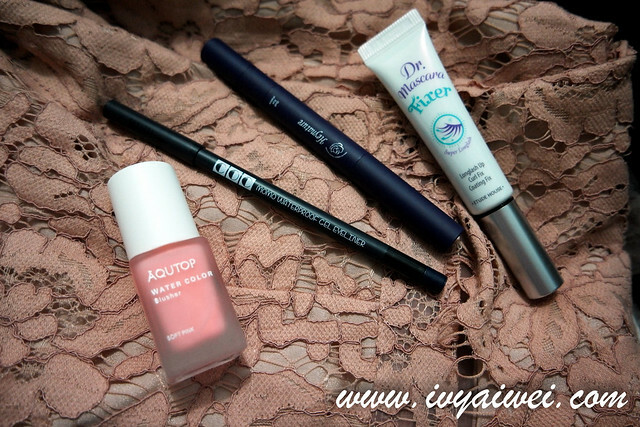 The must have in list for electric eyes. Lol. 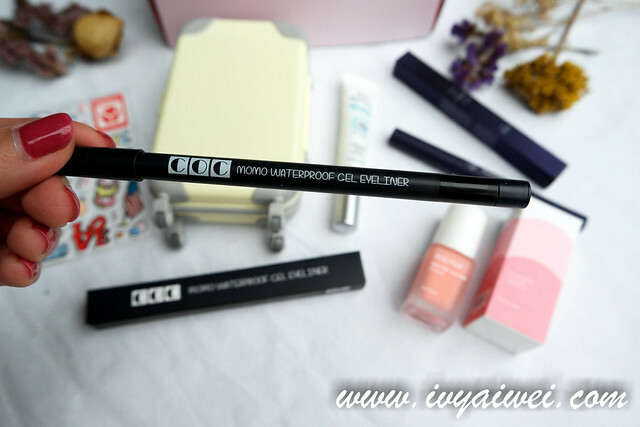 COC – Momo Waterproof Gel Eye Liner in Real Black that is waterproof, long wearing and no smudging. 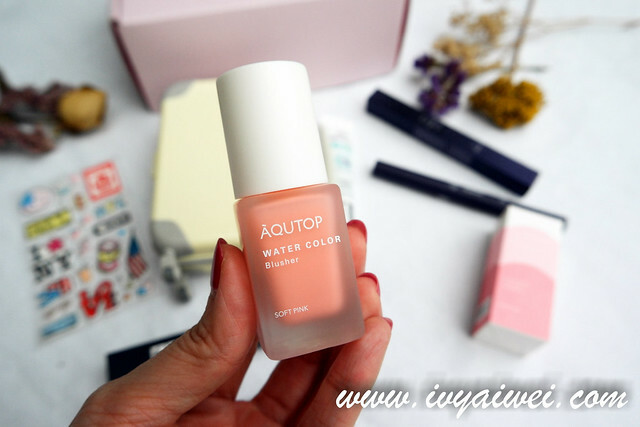 A lovely pink shade that brighten the complexion, giving natural glowing effect with a dewy finish. This is also another convenient thing where you can use it for lips and eyes make up. Check out the pinkish colour on my cheek. 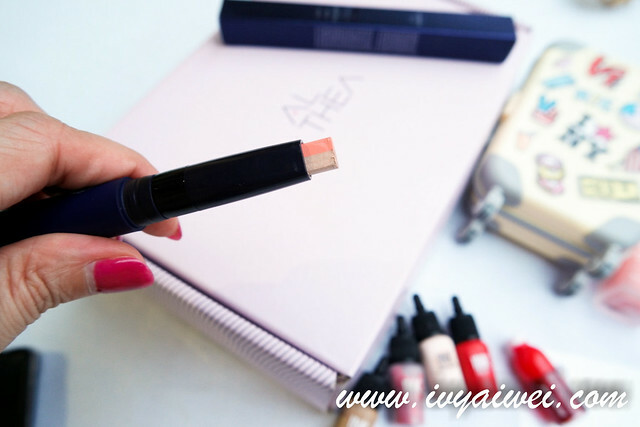 Glide on it and then even it with fingers and you will get natural pinkish blush. I think I am in love with this too! With all these essential, I can now pack light and go off to trip without worry! 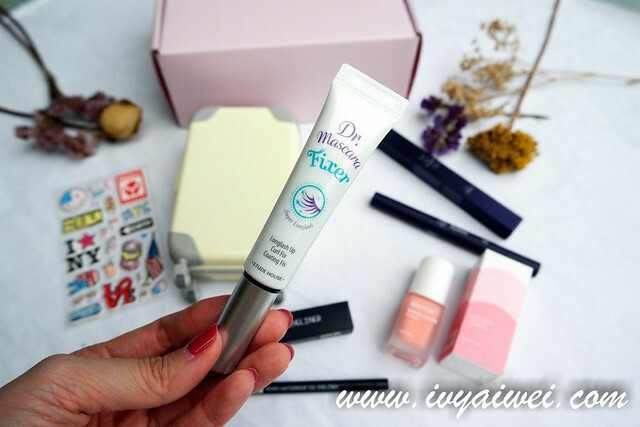 Stay tune for the next coming up Beauty Box and grab while they are still available! Am now waiting for their surprise for the festive month!